Nail unit melanoma (NUM) poses a considerable treatment challenge, particularly in cases with in situ or early invasive lesions, and wide excision with phalanx amputation. 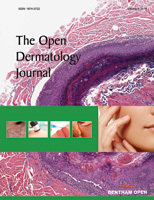 For post-excisional skin defects, stump plasty and/or split-thickness skin grafting may cause persisted irritation and ulceration as a post-operative complication, because of the insufficient underlying tissue volume, vascularity, and stability. To seek out other superior management avoiding disadvantages associated with the conventional NUM surgery. Three consecutive cases with NUM were treated by a novel two-phase surgical procedure using a commercially available dermal regeneration template; as the first phase, the lesional nail unit was excised and subsequently covered by a dermal regeneration template onto the phalangeal bone surface, allowing development of robust granulation with extracellular matrix and vascular network. Thereafter, the second phase employed a full-thickness skin grafting. All three cases accomplished complete removal of the NUM lesion, and achieved a good cosmetic and functional outcome, maintaining physiological firmness, contour, and less contraction and atrophy of the overlying skin. They did not complain of major post-operative complications. Our two-phase approach using a dermal regeneration material is a satisfactory and straightforward technique, achieving a substantial benefit functionally and cosmetically in the post-operative period. We propose that the additional use of a tissue regeneration material can provide superior results for the reconstruction step of excised NUM. Keywords: Nail unit melanoma, Dermal regeneration template, Preserved subcutaneous, Vascular network, Skin grafting, Surgery. © 2017 Iino et al.